Superpower trade war Looms. How it will affect New Zealand – Liam Dann. It’s a nightmare scenario for a small trading nation with historic cultural and political links to the US, but an increasing economic reliance on China. A full blown trade war between China and the US could have devastating political consequences for us all. In this case, it’s not New Zealand’s Prime Minister doing the worrying, it’s Singaporean leader Lee Hsien Loong. His simple, blunt assessment of the risk posed by Donald Trump’s anti-China trade rhetoric caused a minor uproar in the diplomatically cautious Asian nation. Here in New Zealand, where we face the same risks, we’re yet to officially confront the issue. And as issues go, it’s a big one: in the year to June 2016, New Zealand’s total trade (imports and exports) with China was $22.86 billion, compared to $16.25b with the US. Reserve Bank governor Graeme Wheeler has spoken most openly about his fears for the economic risk to New Zealand if the Trump Administration does some of the things it has threatened to do. In a speech last month, Wheeler suggested that Trump’s Administration represents the greatest source of uncertainty for our economy – both in terms of his impact on the domestic economy and his potential to increase global trade protectionism. “Rationally speaking, there shouldn’t be a reason we should go into a trade war. But we have to be prepared,” says Auckland University Business School trade economist Dr Asha Sandaram. China and the US are like Siamese twins, she says. In other words, their economies are now so intertwined that doing damage to one must hurt the other. “I think they both know that if they start this, they will both go down. So I don’t think it should be a big risk. But the thing with Donald Trump, is you just don’t know. He has been running the most incoherent Administration we have seen,” Sandaram says. For anyone who relies on global trade, Trump has said some frightening things. On the campaign trail, he talked about hitting Chinese imports with 45 per cent tariffs and accused China of currency manipulation. Since becoming President, he has pulled the US out of the Trans-Pacific Partnership free trade agreement. In a leaked recording, he has talked about imposing 10 per cent tariffs on all imports and is said to be considering border taxes. 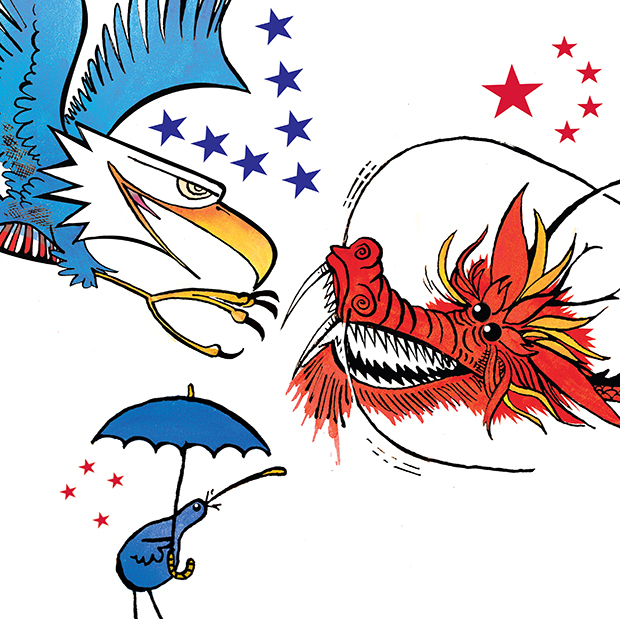 His key trade adviser has been China hawk Peter Navarro, author of Death by China: Confronting the Dragon. And he has nominated Robert Lighthizer – who has accused China of unfair trade practices – as his US Trade Representative. Bloomberg has surfaced an article Lighthizer wrote in 2011 praising Ronald Reagan’s aggressive trade stance when Japan’s economic rise threatened the US. There are concerns that Trump may look to follow those Reagan-era tactics, invoking section 301 of the US Trade Act, which allows a President to bestow “unfavourable trading status” on certain nations. It’s a measure the US hasn’t used since it adopted World Trade Organisation rules in 1995. And, as the many critics have warned, the world has changed. China is not like Japan, politically and militarily dependent on the US. Last month, Wheeler told the Herald that his trade concerns deepened after visiting Washington DC at the start of the year. Wheeler warns that the Trump risk comes on top of a protectionist trend which is already dampening global trade and threatening growth. Long-time New Zealand trade advocate Stephen Jacobi agrees. The advent of the Trump Administration has thrown the spotlight on this he says. Jacobi, who was head of the NZ US Council as executive director from 2005 to 2014, is now executive director of the NZ China Council, so has a good perspective on New Zealand’s relationship with both economies. From discussions he has had in Wellington, Jacobi believes New Zealand officials are very much taking that wait and see approach. That said, the Government has been working on a new trade policy strategy and is expected to release it this month. It will have to acknowledge the growing risks and look at alternatives to the TPP, Jacobi says. “But I doubt whether they will have given up on the US just yet. “So concern, yes. Panic no,” he says. Professor Natasha Hamilton-Hart, with the Department of Management and International Business at Auckland University, says one of the direct risks to New Zealand is the prospect that Trump scores an own goal with his economic policies. “I know the markets seem to be pricing in good times on the horizon but I’m pretty sceptical that that is going to last. She doesn’t see a sustainable growth trajectory coming out of either the tax or infrastructure programme. Things like border taxes and tariffs would be distortionary and depress consumer spending, she says. “We will see an increase in military spending and with the tax cut will start to see an increase in the deficit, which is going to have implications for US interest rates. Then there are the diplomatic risks around a President who tweets his midnight thoughts to the world. Trump’s impact on Asia-Pacific trading relationships is a serious concern. “What I think is more likely is that we will see a stronger line of creeping protectionism … so cancelling the TPP, looking at alternatives to dispute settlements outside the WTO, that kind of thing. The irony of Trump’s trade deficit obsession is that running big deficits is what actually gives you power on the global economic stage, Hamilton-Hart says. In other words, a big net importer is the customer and the customer is always right. China, for its part, doesn’t appear keen on a trade war and isn’t rushing to fill the trade leadership void left by the US . What worries Jacobi more is the risk of America over-playing its hand on security and sovereignty issues – like Taiwan. Jacobi does have faith that the US system, with its constitutional checks and balances on executive power, will work – in time. Likewise, there will be powerful lobbying forces in the US business community who will push back at things he might want to do. “But they also take time,” Jacobi says. “I’m confident that over time the right decisions should be made. But what damage will be done in the meantime is a bit of an unknown. So where does that leave the New Zealand and its Asia-Pacific trading partners? The remaining TPP signatories head to Chile later this month to discuss what, if anything, is salvageable without America. The Americans have said they will send a representative to that meeting, although it’s not clear who that will be or what level of interest they will take, say Jacobi. There is a need for quiet diplomacy behind the scenes and New Zealand could play a key role in that, says Jacobi. But we need to be careful not to upset the other members of the TPP. Particularly the Japanese who, says Jacobi, “are in a very invidious position”. China is already a member of an alternative multilateral trade group – the Regional Comprehensive Economic Partnership (RCEP), which also includes New Zealand. If completed, that free trade agreement (FTA) would include the 10 member states of ASEAN (Brunei, Cambodia, Indonesia, Laos, Malaysia, Myanmar, the Philippines, Singapore, Thailand, Vietnam) and the six states with which ASEAN has existing free trade agreements (Australia, China, India, Japan, South Korea and New Zealand). There have been suggestions that China may look to push this deal as a TPP alternative. But China hasn’t yet shown any signs of taking the lead, says Jacobi. 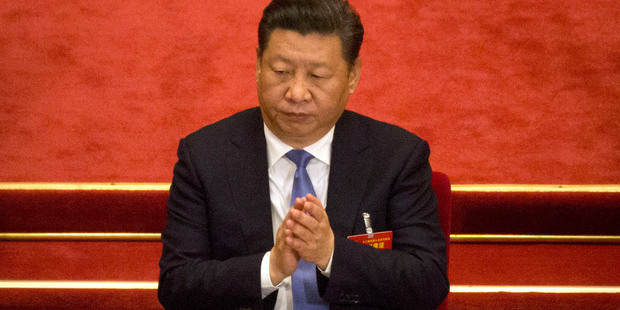 On the one hand, we’ve heard rhetoric from Chinese President Xi Jinping about China’s global leadership, but the reality is that they haven’t taken a major role in multilateral negotiations yet, Jacobi says. It is a different game now, says Hamilton-Hart, who believes the TPP is effectively dead. Jacobi agrees that the bilateral path is problematic. Trump has said he’ll do bilateral deals with TPP partners. But we would want dairy concessions and the US would want a lot of movement on medicines, says Jacobi. And neither would play well politically for either nation. Sandaram, who has been based in New Zealand for only a year, feels New Zealand is sometimes overly cautious about Chinese sensitivities. Jacobi believes the Chinese have a good understanding of our deep political and economic ties with the Western nations, and particularly the US. Both Sandaram and Jacobi believe we have more options than we did a generation ago. “We need to diversify,” says Sandaram. “China is decelerating. But we have Asian powers that are fast growing economies. India, Malaysia, Indonesia – with the emerging middle class there is going to be demand for goods that New Zealand exports. New Zealand, both at a government and a business level, has to be proactive about trade, now more so than ever, says Jacobi. Previous PostCatalogue of a trainwreck.Next PostWhiff of fascism on the wind – Bryan Gould.